When was Ice Cream invented? Historians tend to agree that Ice Cream was invented in 200 BC by the Chinese and the first known use of Icecream was during the Ancient World period of inventions (3500 BC - 600BC). Who invented Ice Cream? The name of a specific person has never been credited with the invention of Ice Cream. The invention of Ice Cream is so old that the name of the inventor has been lost over time, although the first use of Ice cream is believed to have originated in Ancient China in 200BC. Definition of Ice Cream: Ice Cream is defined as a frozen dessert containing dairy products such as cream and milk that is combined with sugar and fruit or flavorings. Fact 1: Who invented Ice Cream? The name of the inventor of Ice Cream is unknown but it is believed to have been invented by the Chinese in 200 BC during the Ancient World era of inventions (3500 BC - 600BC). Fact 2: Who invented Ice Cream? The invention of Ice Cream by the ancients was only enjoyed by the wealthy and the elite. It was a rare and exotic desert enjoyed only by emperors and rulers. Later, ice cream became a favorite of the Kings and Queens of Europe. There were no freezers so the availability of ice or snow was essential before such as desert could be concocted. Fact 3: Who invented Ice Cream? The Chinese invention of Icecream is believed to date back to the Tang dynasty (618AD - 907AD). Cheng Tang (A.D. 618-97), the first king of the dynasty, is known to have employed over 90 'ice-men" to . The first Chinese icecream was made from frozen water buffalo milk thickened with flour and flavoured with camphor. Fact 4: Who invented Ice Cream? There is a mural on the tomb of crown prince Zhanghuai (A.D. 653-684)showing court ladies making a form of Chinese Ice Cream called 'Su Shan', meaning "short-cake mountain". Su Shan was made by melting then pouring a soft, thick, creamy butter-like dairy product on to a plate into the shape of a mountain, decorating it with flowers, packing it in ice or snow and then freezing it. Juices of fruit were used as flavorings. Fact 5: Who invented Ice Cream? The Ancient Chinese later discovered a process to freeze icecream using salt and saltpetre (nitre) to lower the freezing point of ice. It is said that the great explorer Marco Polo (1254 - 1324) when he returned from his travels in China brought back the secrets of ice cream to Europe. Fact 6: Who invented Ice Cream? The Ancient Chinese were not the only ancient people who enjoyed icecream. In the Persian Empire, people poured syrups over snow called "fruit ice" (sorbet) and an Ancient Iranian ice cream called Bastani was made from milk, eggs, sugar, vanilla, rose water, saffron, and pistachios. Fact 8: Who invented Ice Cream? The Ancient Romans soon leaned about the delicious dessert called icecream and the Emperor Nero (A.D. 54-86) frequently sent slaves into the mountains to collect snow and ice, which was then flavored with fruits and juices. An old Roman recipe by Pliny the Elder explained how to mix crushed ice with honey and fruit juices. Fact 9: Who invented Ice Cream? Italian Ice Creams became a popular for the elite when the dessert chef of Catherine de Medici named Ruggeria served a different flavored ice during the month long festivities celebrating her royal marriage the King Henry II of France in 1533. Fact 10: Who invented Ice Cream? An Italian chef called Procopio Cuto, aka Francesco Procopio dei Coltelli, (1651 - 1727) developed Gelato a rich ice cream, made with eggs and usually containing a relatively low amount of butterfat. Procopio went on to invent the first ice cream machine in 1686. Fact 11: Who invented Ice Cream? Procopio introduced Italian icecream to Paris when he opened the highly successful Cafe Procope, a popular coffee house which also served Italian ice cream flavored with fruits or with exotic flavours such as aniseed and cinnamon. The Cafe Procope became a famous meeting place frequented by men such as Napoleon, Voltaire, Balzac and Victor Hugo. Fact 12: Who invented Ice Cream? Ice Cream was introduced to America in New England by the first colonists. George Washington described in his ledger "a cream machine for ice" so obviously enjoyed the delicacy. Fact 13: Who invented Ice Cream? The first written account of icecream in the American colonies was on May 19, 1744 when the dessert served at the home of Maryland Governor Thomas Bladen was described as "a Dessert…Among the Rarities of which is was Compos’d, was some fine Ice Cream which, with the Strawberries and Milk, eat most deliciously". Fact 14: Who invented Ice Cream? The ledger of President George Washington described "a cream machine for ice", indicating that frozen desserts were served at the home of the president and the first lady, Martha Washington. According to the Washington ledger book approximately $200 was spent for ice cream during the summer of 1790. Fact 15: Who invented Ice Cream? On September 9, 1843, Nancy M. Johnson of Philadelphia, patented the first Ice Cream Maker consisting of a tub, cylinder, lid, dasher, and crank. Fact 16: Who invented Ice Cream? In 1851 a Baltimore milk merchant called Jacob Fussell opened the first commercial icecream factory in Seven Valleys, Pennsylvania and founded the wholesale ice cream industry. Fact 17: Who invented Ice Cream? In 1874, the American soda fountain shop emerged with the invention of the ice cream soda. Fact 18: Who invented Ice Cream? Many religious organizations and churches condemned "sinfully" rich ice cream sodas on Sundays. In response to these criticisms ice cream merchants left out the carbonated water and invented the ice cream "Sunday" in the late 1890's. The name ice cream "Sunday" was eventually changed to "sundae" to remove any connection with the Sabbath. Fact 19: Who invented Ice Cream? The Italian-American chef and businessman Pietro Marchioni (1868 - 1954) invented the Ice Cream cone in 1896. 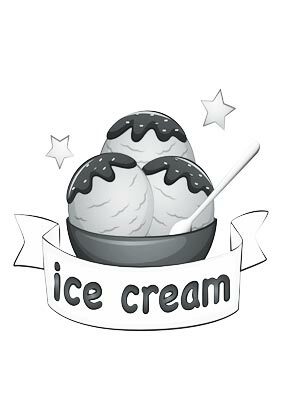 The African American inventor and businessman Alfred L. ​Cralle invented the icecream scoop in 1897. Fact 20: Who invented Ice Cream? The invention of Ice Cream was a great success and enjoyed by kids of all ages. Some of the most popular icecream flavors include Vanilla, Strawberry, Chocolate, Hazelnut, Coffee, Pistachio, Chocolate chip and Rum and raisin. Who invented Ice Cream? Unfortunately the answer to this question is completely unknown but we hope that the facts in this article have provided the answers to all of your questions about the invention of Ice Cream and the Ancient World (3500 BC - 600BC) period in history when Ice Cream was developed.